What Are The Best Bed And Breakfasts In The World? Best British Pubs – Where Should You Go Next? 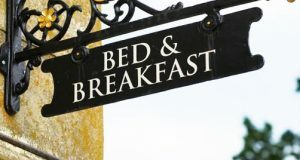 Bed and Breakfast Inns have evolved over the past few years. These inns have expanded services for the guests such as including venues for guests to hold special occasions. It was not that long ago that they were considered quaint, spacious and quiet countryside lodgings perfect for a short getaway. The majority of these types of establishments have managed to maintain their allure and the personalized services they are known for worldwide. There are several B and B’s that are considered some of the best in the world. The next time you are looking for a short getaway, consider one of the following inns for your stay. This Bed and Breakfast overlooks over 1200 acres of protected land. It is a two story B and B that has a wraparound porch. So, what is so unique about this inn? It also functions as a working ranch. On the property, there is also a small cottage that has its very own garden. Guests can enjoy breakfast from food grown and raised on the property. Farm fresh eggs, fresh olive oil and grass fed beef are just some of the foods that are raised and cooked at the inn. 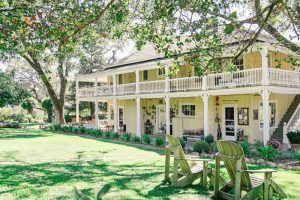 Another great B and B in California is the Blue Lantern Inn. Every room has its very own fireplace, and there are some rooms that have a private balcony as well. These balconies overlook the beautiful Pacific Ocean. Enjoy a morning breakfast with homemade muffins, granola and quiche. The owners also serve hors d’oeuvres with tea and wine in the afternoon. The inn is also dog friendly, so you can bring your pooch with you on your getaway. If you want international flair with your getaway, look no further than Dublin. With a top rated cuisine, busy arts scene and plenty of trendy bars, you will not be at a loss for something to do during your stay. Fortunately, the modern amenities do not detract from the picturesque and quaint Irish feel of the city. 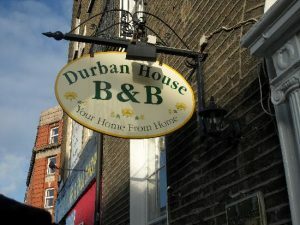 There are several B and B’s in the surrounding areas of Dublin, and you can book one near the Temple Bar, the Aviva Stadium and other tourist attractions in the city. The Durban Residence is an excellent inn located right in the heart of the city. It is a comfortable, affordable and warm atmosphere for travelers from both near and far. The Georgian townhouse has been refurbished. However, it still retains many of the quaint characteristics that guests have come to expect. The Eternal City, Rome is a city that everyone should visit at least once in their lifetime. The monuments and remains of an ancient empire blend easily with the modern buildings and busyness of the modern street. Rome is a laid back city, and it is not unusual to see residents relaxing with friends enjoying gelato, while tourists are busy taking pictures of the sights. Mr. Frills B and B is operated by two young brothers who speak several languages including English and Italian. The stylish inn was completely renovated in 2007. It has a simple, contemporary feel, and is only a 5 minute walk to the Termini Station. Talkeetna, AK is a small town north of Anchorage that is a slowly becoming a popular spot to vacation. It’s been a secret vacation area for many years but the word is getting out. Talkeetna is a fun, touristy town that needs to be seen and experienced to get the full affect. 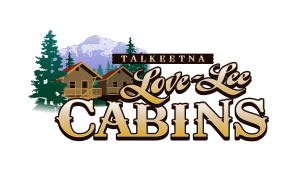 When you visit, you need to stay at the Talkeetna Love Lee Cabins just 5 minutes south of the city. The cabins are clean and beautiful, allowing you to rest peacefully but also experiencing the wonders of nature at the same time. Along with the great cabins, the town of Talkeetna, also adds to the beauty, with tons of things to do and activities to enjoy. If you are looking to enjoy a quick getaway, why not spend that time in a Bed and Breakfast Inn? These inns can be conveniently booked online and can suit every budget and need. The former home of the London Metropolitan Police is to reopen as a high-end hotel next year. A new luxury hotel with a âdestination restaurantâ is set to open in a restored Georgian terrace in the City of London in 2020. Sir Richard Branson has announced plans to launch the UKâs first Virgin Hotel in Edinburgh. Roux at The Landau, the restaurant at Londonâs five-star Langham Hotel, is to relaunch as a more informal dining concept. French hotel group Mama Shelter is to make its long-awaited UK debut in London. © 2019 Queen's Head Inn and Pub - Powered by WordPress and Exray Theme.